Titles have been getting harder, and harder to craft these days. Some days the title of my posts write themselves, other times, it can take me weeks. I knew I wanted to share my "Darkwing Duck" look with you, so I forced myself to come up with a title. Somewhere in my mental madness, I thought about the "Keep Calm" posters. And then of course, B and I had to Google the origin of said posters. It is such a neat story, and I had no idea these posters dated back so many decades... Anyways, a title was born, and knowledge was gained. I have been very into ponchos/capes lately, yes, I actually just wrote that. I really never imagined myself ever repeating those words in sequence... but I am. I bought this cape last year, and have only worn it a handful of times. I love the unique structure of it, but on the other hand it kinda reminds me of a straight jacket. 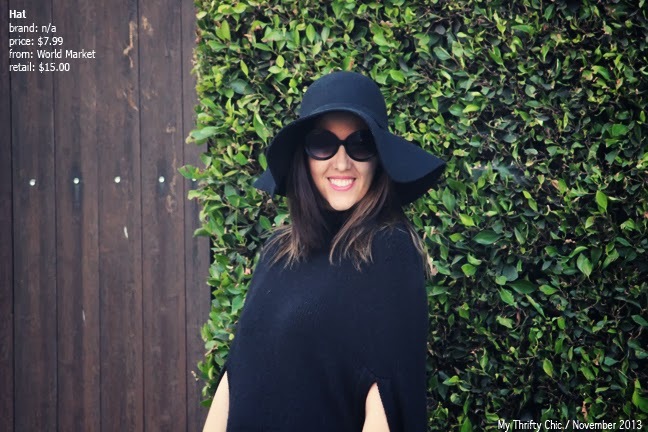 I opted for an all black look and took advantage of an opportunity to wear my floppy hat! 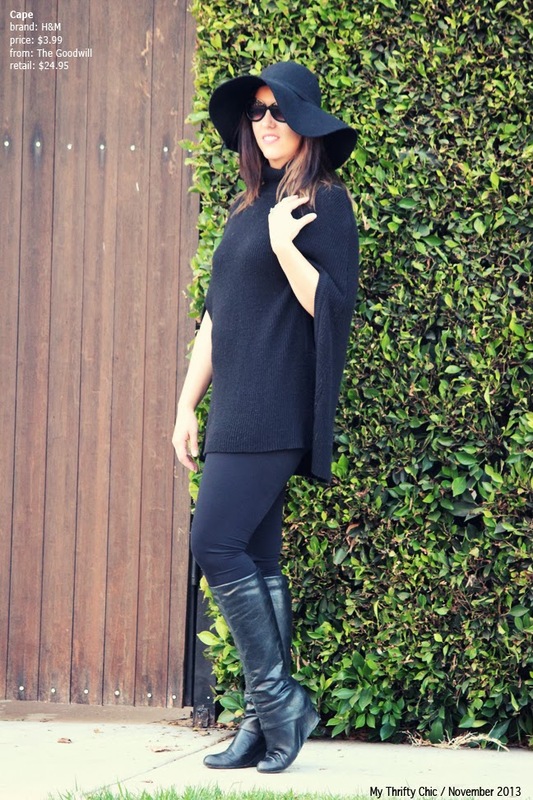 Check out how I've styled this cape previously, and those boots from my first ever outfit post (3 years ago)!! 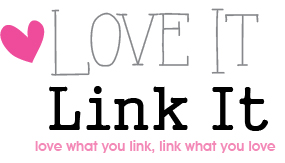 It's that time of the week again, the Love it, Link it Blog Hop! If you're new here, Love it Link it, is a weekly blog link up that starts every Monday night at 9pm PST. This link up only has one theme: link what you love! Please feel free to share your outfit of the day, a great DIY, your favorite new mascara, or anything else you think the blog-o-sphere should know about! Grab the button and start linking!! I'm so tempted to get a cape, but I've heard that they're not easy to do anything in - except look gorgeous. So you've got that one nailed! Love this outfit! I have been on a hunt for a fall floppy hat and may need to stop by World Market. Cool outfit and I like the hat. Theses pictures are great! Honey, you killed it! 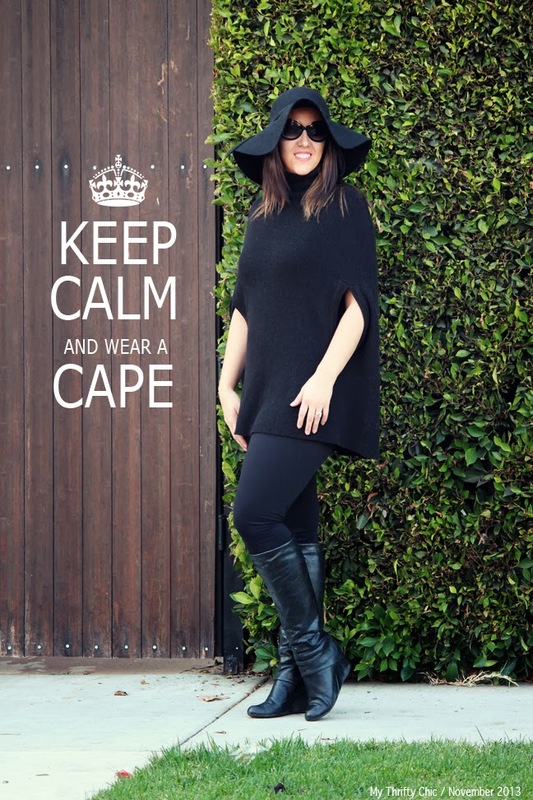 Love everything...the cape, the hat and the boots! I love wearing capes and leggings - such a timeless look and you are looking good Miss Missy! Hopped over from Style Elixir. I love capes, and it looks good on you! :) That's awesome! I have a pair of boots that I have had for about 4 years now and they are still going. I think I got them for about 10 bucks on sale, at a local store. I have been in a cape mode this year..wore it a bunch of time before winter kicked in. Love your outfit here.. Stopping by from style session link up.. It is an interesting origin for those signs isn't it--and funny that it has taken off so much in the last few years. Love the cape and hat--a majorly chic Janis Joplin kinda cool look. Thanks so much for hosting! i don't own any capes but i want one now!! That's such a nice cape. Stopping by from Fab Friday's Link-up! I love this look! Sometimes what you need on a Friday is an all black look! Loving this black look! So chic! Thanks for sharing with Three-fer Thursday!